They were the quintessential 80s boyband who went their separate ways after three years at the top of the charts, amid in-fighting and debt. 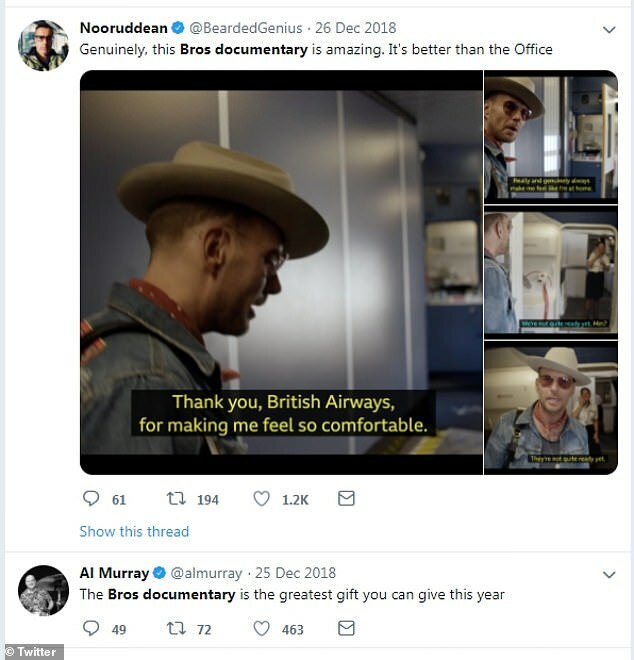 And Christmas viewers went wild at the screening of Bros documentary After The Screaming Stops, with fans comparing the film to The Office and rolling in the aisles over its absurd and hilarious one-liners. The film followed the brothers as they prepared for their emotional sell-out reunion gigs at London's O2 Arena, nearly 30 years after they last took to the stage together, while simultaneously trying to repair their bond after a decade of minimal contact. 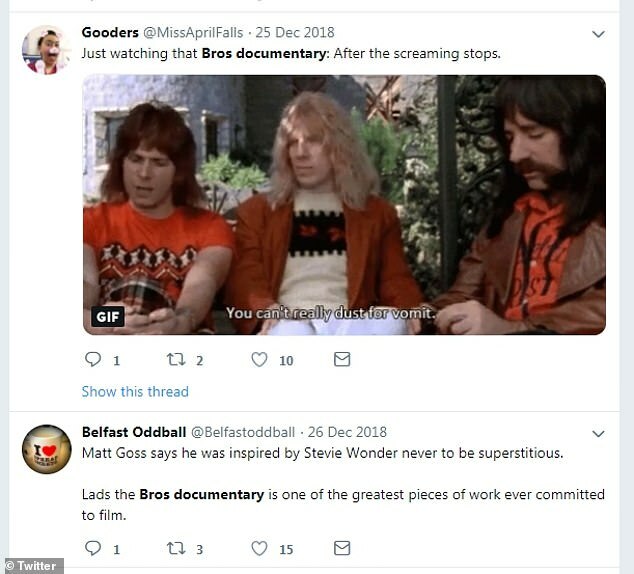 But with one liners about not being able to play conkers, Matt saying Stevie Wonder had inspired him not to be 'superstitious and the brothers likening themselves to rectangles that made up a fortress, the show quickly became a fan favourite for very different reasons than the reunion. The documentary promised 'a raw and emotional look into the aftermath of fame and the reconnection between two twins torn apart by their past' while showing no-holds barred clips of the pair rowing and crying over the bond they used to share. 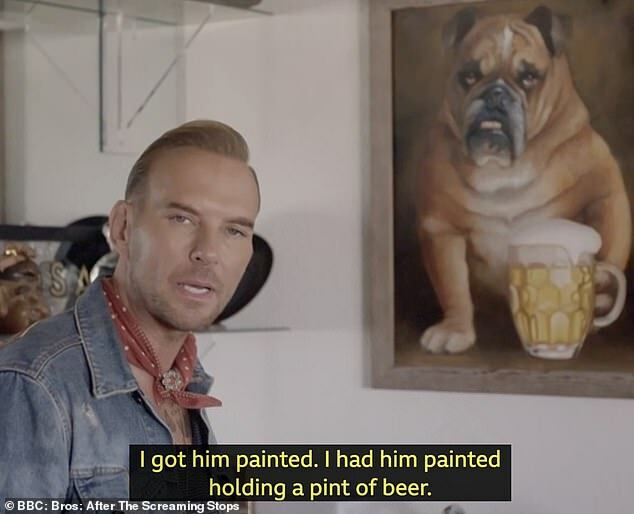 However, fans couldn't help but compare the documentary to The Office and the hapless antics of salesman David Brent, especially when Matt showed off an custom designed oil painting of his beloved dog, and spoke about their favourite toy growing up. 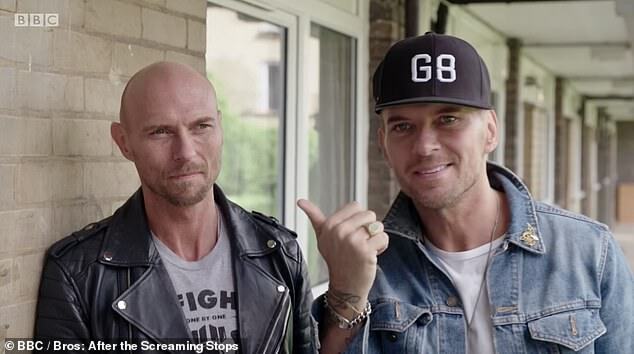 One fan wrote: '@rickygervplease confirm you had some involvement in the Bros documentary, when the screaming stops on the BBC I player? 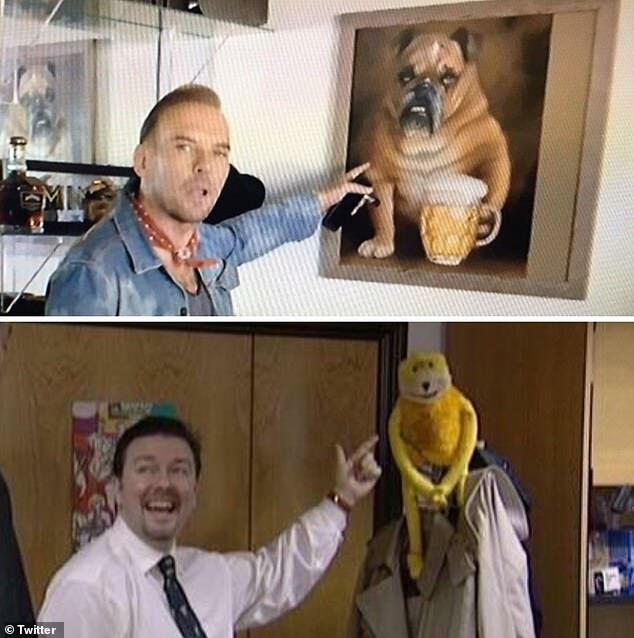 'It's impossible to believe it's not been touched by you/David Brent!!!' while another added: 'This is so Brent'. 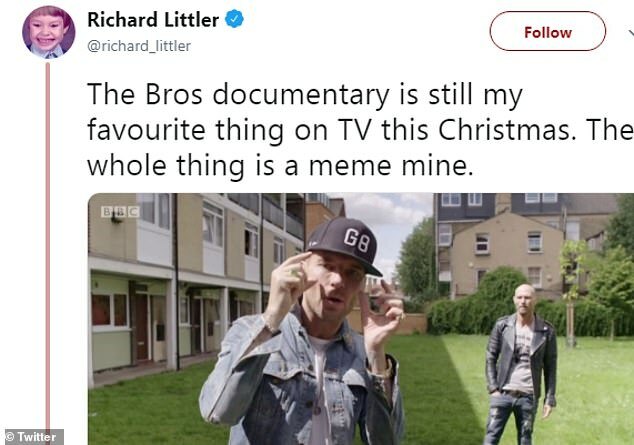 Another wrote: 'Surely only a matter of time until we find out @rickygervais and @StephenMerchant we’re responsible for that Bros documentary? 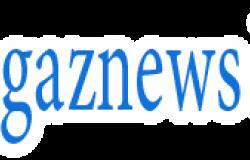 Fans also took to social media to call it the real gem of the Christmas season's holiday television and gush over the greatest moments of the show.